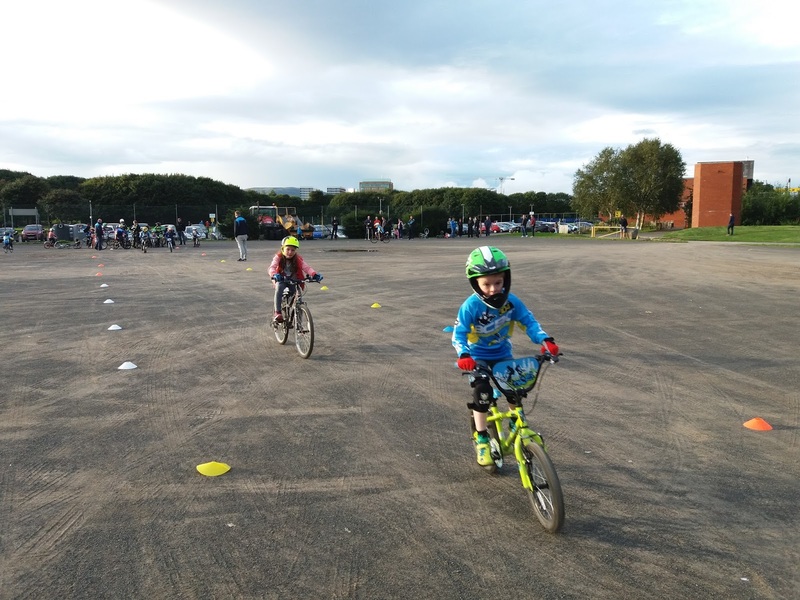 BMX FUNdamentals Session 3, The last of our Summer evening visits to Ormeau Park, was race focused, about 30 riders boys and girls all ages. Got warmed up on the flat all weather pitch with sprints and then a tight slalom, before moving to the Bmx track, were riders raced in 4s then took part in a mass relay, all the riders did really well, from first timers and balance bikes all the way up to the regular racers. Pictures here. Next Wednesday 6:30pm we will be at Bridges skate park for a more informal get together and Jam.